One of the highlights of attending Saborea Puerto Rico is the opportunity to meet and greet some of the most talented chefs del patio and the ones travel to the island to be part of this event. One of the chefs I’ve had the chance to meet in the 2012 edition was chef Jimmy Carey. 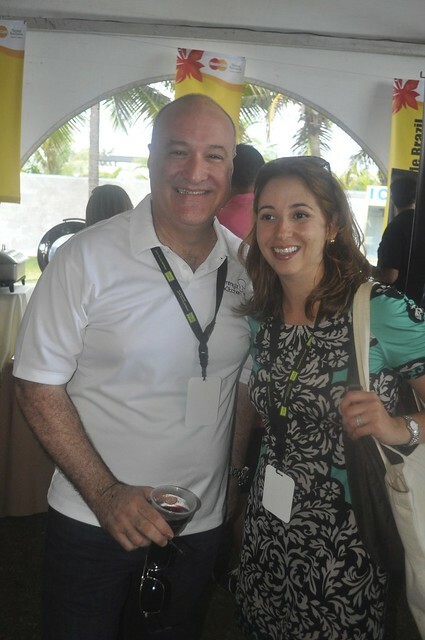 He was one of the chefs with the most active Facebook and Twitter presence during last year’s Saborea Puerto Rico, which helped us track each other at el Parque del Tercer Milenio. Chef Jimmy currently owns and operates three locations of Jimmy’z Kitchen in the greater Miami area. Do not be fooled by the name. The minute you meet him, you forget he was born in Greenwich Village. His warmth, sense of humor and 75% of his accent are distinctively boricua. Chef Jimmy Carey is currently one of the biggest ambassadors for the island’s cuisine and culture in Miami. Even though his restaurants are not Puerto Rican per se, his mofongo – the typical salty, garlicky fried plantain mash – has become a signature in item in all three Jimmy’z Kitchen locations. This is due in no small part to the support of Puerto Ricans and other Latinos in the greater Miami area. Chef Jimmy and his team engage their customers beyond food through special activities such as the Noches de Bomba y Plena, constant interaction online, and events like Saborea and the Americas Food and Beverage Show. 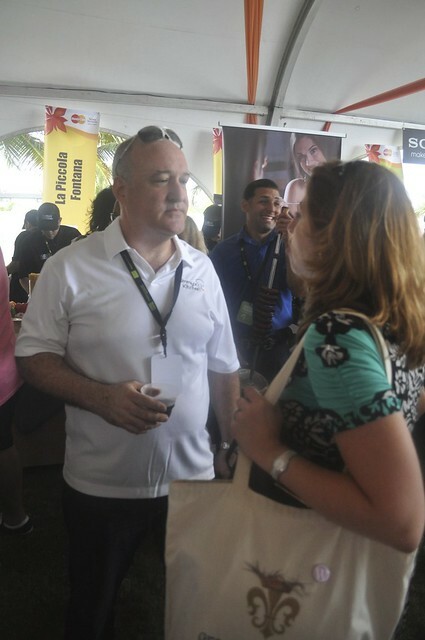 Yesterday at the Saborea Puerto Rico press conference, I could not resist asking what would he serve if he had a station over at the Tasting Pavillion during the weekend. He knew right off the bat – “A mofongo bar, featuring all different kinds of stuffings – mojo pork, saffron seafood… I’d love to have an active station, where the people can see three guys mashing plantains in pilones, and the public gets to choose which of the fillings they’d like to try”. Maybe we can work something out for next year, although I’ll probably need a five minute break for every three mofongos I manage to make. Chef Jimmy kindly shared with us the recipe he will be preparing at the GE Monogram Demo Kitchen Theatre. I know I will be tackling this delicious vianda hash soon. We wish our friend best of luck at this year’s edition and look forward seeing him soon at his Miami outposts. Preheat non stick pan. Season all root vegetables with salt, pepper. Pan sear in high heat with olive oil. Make sure to brown all sides of cubes evenly. Add Julienne shallots, cook. Add sliced garlic, don’t burn! Add crab meat, do not over mix making sure that crab is not broken to shreds. Season Snapper fillet with fresh thyme, salt & pepper. Pan sear in preheated pan with olive oil. Caramelized and fully cook. Bring stock to a boil. Mount olive oil making sure there is a fully emulsified sauce, no oil streaks. Finish with Lime juice. Add lime juice carefully making sure sauce does not break. Season with salt and pepper to taste. The GF360° tote bag will be making the rounds again this weekend. Don’t be shy and stop to say hi! Follow Chef Jimmy Carey on Twitter and Facebook. Do not miss Chef Jimmy Carey’s presentation at the GE Kitchen Demo Theater on Saturday, April 6th at Saborea Puerto Rico at 1:30pm. 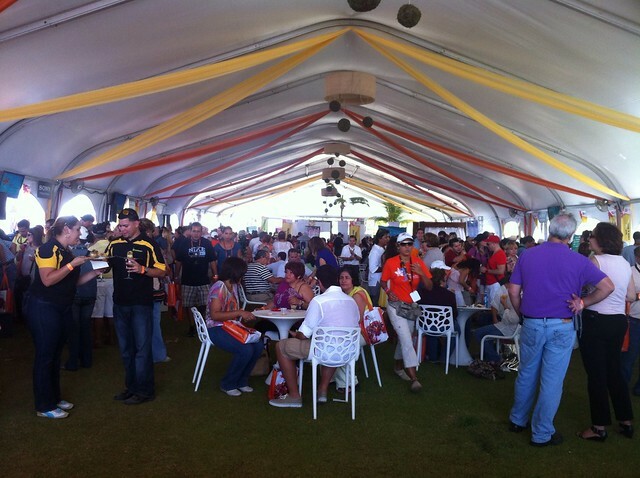 Saborea Puerto Rico is the island’s premier gastronomic event, showcasing 30 local restaurants and the talent of sixty-two local and visiting chefs. GreatFood360­° was granted press passes to cover this activity. Special thanks Natascha Otero Santiago, for facilitating my meeting with Chef Jimmy yesterday.